When I began reading bodybuilding magazines about a decade ago as I peered into the bodybuilding world and began to take then what would become the first steps to becoming a bodybuilder there were a few things that I knew would be imperative to my success. I had to eat protein. Buckets full of it. I needed to avoid overtraining. I could not allow my workouts to take more than an hour for fear of cortisolic shock. Eating 6-8 meals per day was a given and going more than three hours without eating was a sin. Finally, of great importance was the need to do everything in my power to enhance my hormonal responses to training. As I look back a decade later, what I thought were facts turned out to be misinterpreted data and in some cases just complete broscience. I found I got way better gains from training every bodypart at least 2x/week and in the case of my legs got great results from training them 3x/week sometimes for 2 hours per workout, this ended up being supported by science I didn’t even know existed when I started bodybuilding, but had been conveniently overlooked by the muscle rags because it wasn’t as marketable as vetting the perils of ‘overtraining.’ Through my research in protein metabolism and my experience with myself and hundreds of clients I found that most bodybuilders actually consume more protein than they need to maximize the benefits of the macronutrient and also eat too frequently. A decade later, I had discovered that most the things I thought I ‘knew’ as ‘facts’ turned out to be broscience. But what of hormones? Certainly maximizing hormonal responses to training and nutrition was essential. As a natural bodybuilder, I was not going to be getting supplemental hormones so this meant I needed to maximize my production of hormones like Growth Hormone (GH) in order to achieve the natural pro level physique I aspired to right? Well, not exactly. Growth Hormone: What is it and what does it do and why are we trying to increase it? Growth Hormone (GH) has long been purported by ‘gurus’ and bodybuilders as the holy grail of anabolic salvation. The rage over GH even produced an entire category of sports supplements whose purpose is to enhance GH in order to increase muscle mass. But what does GH actually do? What evidence is there that GH is REALLY anabolic? Growth Hormone is a peptide hormone that acts both directly through the GH receptor on various tissues and by increasing systemic IGF-1 to exert it’s effects. It has been determined that the growth and maturation of the musculoskeletal system is mediated by changes in GH and IGF-1  . During youth, a deficiency of GH can result in slowed growth of the musculoskeletal system whereas an excess can cause accelerated changes in growth and stature  . A chronic release of excess GH called acromegaly is a syndrome in which the pituitary overproduces GH, typically due to a tumor resulting in greatly increased height and growth of hands, feet, and face. It is often associated with gigantism, a condition also caused by excessive GH release  . Additionally, GH and lean body mass also decrease in accordance with age leading many people to suggest that the reduction in GH with age may directly cause decreases in lean body mass observed with age  . Furthermore, many ‘experts’ have cited studies demonstrating that supplementation of GH in GH deficient individuals normalize lean body mass to bodyfat fat ratios as further evidence that GH is ‘anabolic.’ They also point to the massive amounts of muscle mass carried by IFBB pros that use supraphysiological amounts of GH as to another piece of evidence as to why GH is anabolic. These pros are using many other drugs however and trying to extrapolate the effects of supraphysiological GH supplementation to what the normal person can get through training and diet is tenuous at best. Perhaps the strongest argument to be made for GH being anabolic by ‘gurus’ is noting the exercise induced increases in GH associated with weight training. Specifically, high volume bouts of exercise that recruit large muscle groups and require a high degree of effort will elevate GH significantly (~10 fold) for approximately 40 minutes  . However, while these pieces of information raise interesting possibilities for GH, none of them actually conclusively demonstrate that physiological increases in GH are anabolic. As discussed previously, excess GH can cause supraphysiological changes in growth and muscle and a deficiency in GH will cause a reduction in growth. 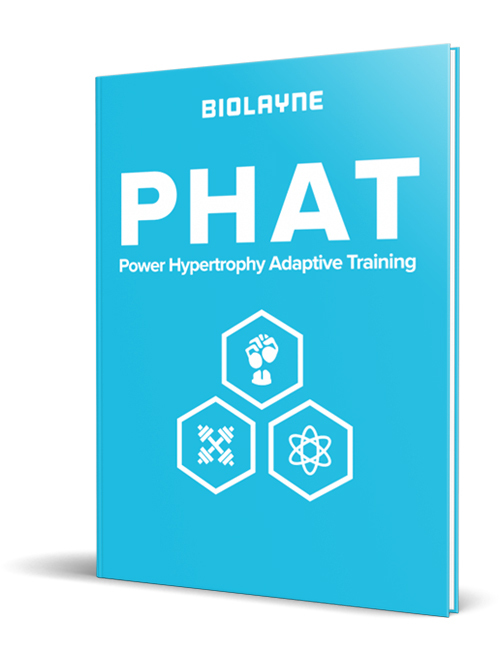 Many people have taken this information and concluded that the anabolic response to GH is linear and thus increasing GH in the physiological range will have profound anabolic effects. When you actually view the scientific data however, it paints a very different picture. While it is true that supplementing GH deficient individuals with exogenous GH will normalize lean body mass to bodyfat ratios by increasing lean body mass and decreasing bodyfat, the gains in lean body mass are NOT from increases in actual muscle tissue. The increase in lean body mass is rather due to increased whole body protein synthesis resulting in hypertrophy of connective tissue and also from increased water retention due to alterations in the regulations of electrolytes and water by the kidneys   . Accordingly, supplementation with GH in healthy individuals does NOT increase strength compared to placebo    . So while supplementing with exogenous GH in GH deficient individuals may normalize lean body mass to bodyfat ratios, the increase in lean body mass is due to water retention associated with increased collagen formation, whole body (not muscle) protein synthesis, and changes in kidney regulation of water and electrolytes, not from actual muscle tissue. Furthermore, adding supraphysiological exogenous amounts of GH to supplement identical resistance training programs in young men did NOT lead to improvements in skeletal muscle protein synthesis, muscle mass (only connective tissue mass), or strength compared to placebo  . Based on the aforementioned data it is clear that supplementing with GH is not anabolic to muscle tissue, but certainly increasing growth hormone in response to resistance training is important right? I mean we’ve all been told how crucial it is to use training protocols to maximize natural GH response to training and many training programs are constructed with a central theme of maximizing GH production. One well-known guru even preaches restricting food intake post workout in order to maximize GH produced during a workout (eating will decrease GH). Certainly, GH produced during a workout must be anabolic right? Or is this just more BROSCIENCE? Fortunately for us, Dr. Stuart Phillips’ lab at McMaster University in Canada has done EXTENSIVE research on this very topic. In one study they compared two training protocols, one protocol that caused a very drastic increase in circulating GH levels and another that maintained basal levels of GH. Both protocols compared differences in protein synthesis and hypertrophy of the upper arms in response to training, but one protocol also paired the arm workout with a large muscle group (legs). Working out a small muscle like arms does NOT increase GH release whereas working out a large muscle group (i.e. quadriceps) does. Basically, the arm workouts were identical; the only difference was that in between the groups was that one only worked arms, and the other worked arms immediately followed by legs in order to cause a significant growth hormone response. Indeed, the arm only workout did not increase GH in response to training whereas the arm + leg group increased GH by over 10 fold  ! Even though there was a massive difference in growth hormone responses between the groups, there was no difference in the rate of protein synthesis in the arm muscles post training and there was no difference between the groups in arm muscle hypertrophy after 15 weeks! If workout induced GH was so ‘anabolic’ they why was a protocol that caused a 10 fold greater increase in GH no more anabolic than a program that didn’t increase GH at all? Additionally, while measurements like post workout p70S6K phosphorylation (a kinase involved in initiation of protein synthesis) and myofibrillar protein synthesis are strongly correlated with long term increases in muscular hypertrophy, the exercise induced rise in GH have absolutely no statistical association with hypertrophy  ! If this data doesn’t convince you that physiological changes in GH associated with training are not important in regards to training, then perhaps this tidbit of information will; cardio actually increases GH. That’s right, low intensity cardiovascular cardio actually increases GH  . Last time I checked, lots of cardio is not exactly associated with muscle growth! Finally, it has also been demonstrated that fasting increases GH  . I’ve seen several trainers recommend prolonged fasting in an effort to maximize GH. This has to be one of the most BROTELLIGENT things I’ve ever heard. You mean to tell me that not eating is more anabolic than eating? As you can see from all the data presented herein, this is clearly a foolish approach since GH is not anabolic to muscle tissue, even when used in supraphysiological supplemental doses! So why are all these people trying to find ridiculous ways to maximize it? Probably because they spend less time with their head in the research and more time with their head up their behind! So you are saying is GH worthless? Don’t get me wrong, I’m not saying GH has absolutely no use and is completely unimportant. In GH deficient people, supplementing with GH normalizes bodyfat through increased lipolysis  . However, it still unclear if PHYSIOLOGICAL increases in GH lead to enhanced fat loss. Workout induced GH is not anabolic and not associated with hypertrophy, but rather seems to be more important in substrate mobilization through increasing fatty acid availability during training  . This most likely explains why GH increases even during cardio in order to provide fatty acids for working muscles. GH is not completely unimportant but the emphasis that has been placed on it for anabolism has been DRASTICALLY overstated and in many cases completely fabricated. The truth is that GH has a permissive effect on anabolism. Deficiencies in GH will impair growth and supplementing with GH in deficient individuals normalizes lean body mass to bodyfat ratios. So perhaps it is time for the BROSCIENTISTS to pull their heads out of their behinds and tell the truth about the actual role of GH. Florini JR, Ewton DZ, Coolican SA. Growth hormone and the insulin-like growth factor system in myogenesis. Endocr Rev. 1996;17(5):481-517. West DW, Phillips SM. Anabolic processes in human skeletal muscle: Restoring the identities of growth hormone and testosterone. Phys Sportsmed. 2010;38(3):97-104. Fox SI. Regulation of Metabolism. In: Human Physiology 8th Edition. McGraw Hill. Boston: 2004. pp 622. Thompson DD. Aging and Sarcopenia. J Musculoskelet Interact. 2007;7(4):344-5. West DW, Kujbida GW, Moore DR, Atherton P, Burd NA, Padzik JP, et al. Resistance exercise-induced increases in putative anabolic hormones do not enhance muscle protein synthesis or intracellular signaling in young men. J Physiol. 2009;587(pt21):5239-5247. Doessing S, Heinemeier KM, Holm L, et al. Growth hormone stimulates the collagen synthesis in human tendon and skeletal muscle without affecting myofibrillar protein synthesis. J Physiol. 2010;588(pt 2):341-351. Dimke H, Flyvbjerg A, Frische S. Acute and chronic of growth hormone on renal regulation of electrolyte and water homeostasis. Growth Horm IGF Res. 2007;17(5):353-368. Taaffe DR, Pruitt L, Reim J, et al. Effect of recombinant human growth hormone on the muscle strength response to resistance exercise in elderly men. J Clin Endocrinol Metab. 1994;79(5):1361-1366. Taaffe DR, Jin IH, Vu TH, Hoffman AR, Marcus R. Lack of effect of the recombinant human growth hormone (GH) on muscle morphology and GH-insulin-like growth factor expression in resistance-trained elderly men. J Clin Endocrinol Metab. 1996;81(1):421-425. Yarasheski KE, Zachwieja JJ, Campbell JA, Bier DM. Effect of growth hormone and resistance exercise on muscle growth and strength in older men. Am J Physiol. 1995;268(2 pt 1):E268-E276. Yarasheski KE, Campbell JA, Smith K, Rennie MJ, Holloszy JO, Bier DM. Effect of growth hormone and resistance exercise on muscle growth and strength in young men. Am J Physiol. 1992;262(3 Pt 1):E261-7. West DW, Burd NA, Tang JE, Moore DR, Staples AW, Holwerda AM, Baker SK, Phillips SM. Elevations in ostensibly anabolic hormones with resistance exercise enhance neither training-induced muscle hypertrophy nor strength of the elbow flexors. J Appl Physiol 2010;108:60-67. West DW, Burd NA, Staples AW, Phillips SM. Human exercise-mediated skeletal muscle hypertrophy is an intrinsic process. Int J Biochem Cell Biol. 2010;42:1371-75. Hunter WM, Greenwood FC. Studies on the secretion of human-pituitary-growth hormone. Br Med J. 1964;1(5386):804-7. Engstrom EB, Burman P, Holdstock C, Karlsson FA. Effects of growth hormone (GH) on ghrelin, leptin, and adiponectin in GH-deficient patients. J Clin Endocrin Metab. 2003;88(11):5193-5198. Burd NA, West DW, Churchward-Venne TA, Mitchell CJ. Growing collagen, not muscle, with weightlifting and growth hormone. J Physiol. 2008;586(pt15):3701-3717.